DM Stack 1300 of SAP Disclosure Management 10.1 has been released on 29th November, 2018. Learn about new features and capabilities in the following. Some languages such as Arabic, Hebrew and Persian are written from Right-to-Left. To handle them, Disclosure Management supports Right-To-Left when linking data. This applies to tables as well as linked words in body text. 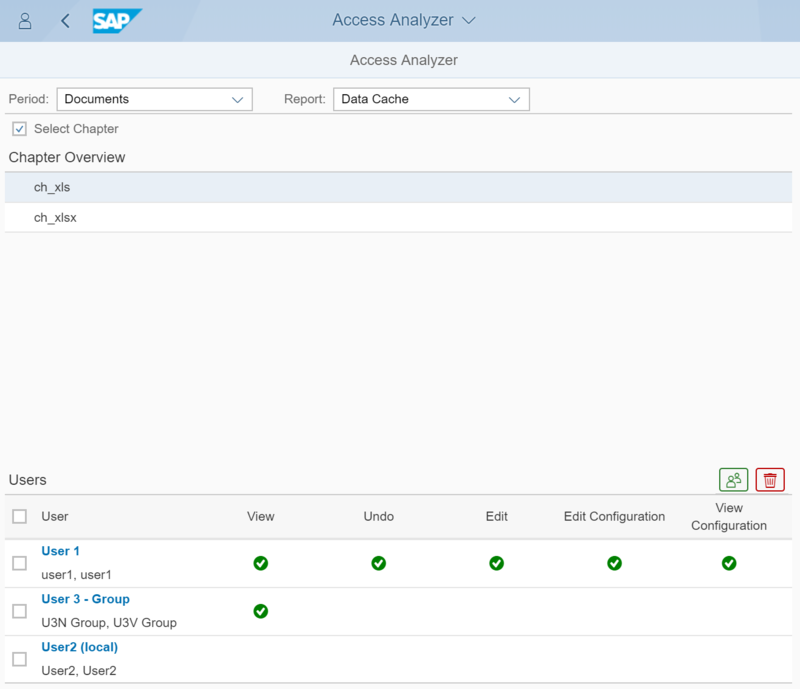 The new Access Analyzer App helps to quickly answer authorization questions. This brand new app helps to find out, why some users can access a chapter and others can not. Simply select them in the app and have a look at their permissions on a specific report or chapter. If an Antivirus is installed on the Application Server, it is automatically used to scan all incoming/uploaded documents. For this purpose the same API is used that is exposed for mail clients to check file attachments. So, most common antivirus programs are supported. With DM Stack 1300, the BatchTool is able to import Transport files. It works the same way, the Transport -> Import mechanism of SAP Disclosure Management works. But as it works on the command line, it can e.g. be used to schedule imports using Windows standard mechanisms for scheduling. More information on the Batch Client can be in the User Help in chapter Disclosure Management Batch Client. The support for Inline XBRL (iXBRL) has been revised with DM Stack 1300. In general, it should be possible to fulfill all scenarios for iXBRL. However, special requirements for scenarios can still not be covered and could require additional expansion in later Stacks. 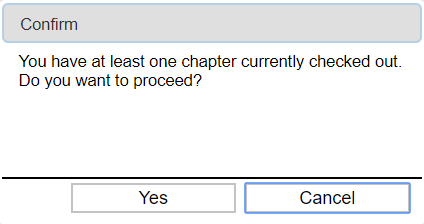 If the user logs out using the Logout button and he has still a chapter checked out, a warning dialog appears. The user has to confirm that he wants to proceed with the logout. Sending emails can be switched off centrally. Users can decide for themselves if they want to get emails. Report Setting ‘Email notifications’ renamed to ‘Workflow Notifications via email’. This setting will only be considered when emails are to be sent for Workflow status changes. The behavior of the old and two new options are described in the User Help. With DM Stack 1300 a new filter option was introduced in the Global Permissions and Local Permissions view. It is now possible to search for specific users, roles and entities. The DM Logger component now has a defined free disk space minimum of 100 MB. If the log file target drive (see Log.config) has less than 100 MB of free space available then DM will stop logging indicated with a message added to the log. This measure does not apply for network shared folders (UNC paths). Since DM Stack 1300, the setup of DM SERVER – APPL SERVER 10.1 and DM CLIENT 10.1 checks for installed Microsoft Visual C++ 2017 Redistributable as a prerequisite as it is required for supporting E-Bilanz reporting with SAP Disclosure Management. Since DM Stack 1300, the setup of DM SERVER – APPL SERVER 10.1 supports HTTPS configuration once it is installed from scratch. The HTTPS configuration is predefined by default when installing from scratch. Since DM Stack 1300, the setup wizard has been completely refactored. The new setup implementation now comes along with several benefits like enabling Java Runtime Environment configuration during the installation process, optimized database handling during the installation process to avoid misconfigured database connection settings, and finally an easier use of silent installation. Further, TLS 1.2 is now supported. Uninstallation functionality has been improved as it now automatically recognizes left-over components to be removed. Java Runtime Environment is now needed to be configured using the setup wizard. A valid Java Runtime Environment configuration is required for installation. Silent Installation is easier to use. Integrated parameter help can be displayed using the “-help” command line parameter. Prerequisite checks of the setup wizard have been improved. Some software products marketed by SAP SE and its distributors contain proprietary software components of other software vendors. National product specifications may vary. These materials are provided by SAP SE or an SAP affiliate company for informational purposes only, without representation or warranty of any kind, and SAP SE or its affiliated companies shall not be liable for errors or omissions with respect to the materials. The only warranties for SAP SE or SAP affiliate company products and services are those that are set forth in the express warranty statements accompanying such products and services, if any. Nothing herein should be construed as constituting an additional warranty. In particular, SAP SE or its affiliated companies have no obligation to pursue any course of business outlined in this document or any related presentation, or to develop or release any functionality mentioned therein. This document, or any related presentation, and SAP SE’s or its affiliated companies’ strategy and possible future developments, products, and/or platform directions and functionality are all subject to change and may be changed by SAP SE or its affiliated companies at any time for any reason without notice. The information in this document is not a commitment, promise, or legal obligation to deliver any material, code, or functionality. All forward-looking statements are subject to various risks and uncertainties that could cause actual results to differ materially from expectations. Readers are cautioned not to place undue reliance on these forward-looking statements, which speak only as of their dates, and they should not be relied upon in making purchasing decisions.